Bulgaria is a popular destination for all types of travelers. 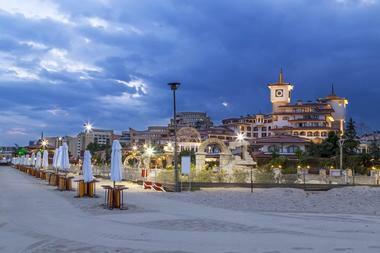 From Sofia to the beach, there are numerous accommodations spread throughout Bulgaria just waiting to host you. You can stay at an all-inclusive resort or a smaller hotel where you just pay for the amenities you want. 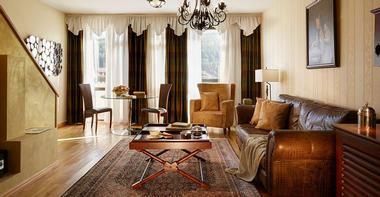 Kempinski Hotel Grand Arena Bansko is a luxury ski and spa hotel surrounded by nature. It is just steps from Pirin Mountain, which is a UNESCO World Heritage location. The five-star hotel is open year-round. The Alpine rooms and suites include balconies, flat-screen TVs, desks, safes, coffee and tea-making facilities, your choice of pillows, free Wi-Fi, bathtubs, and showers. You can also fit a baby cot in most rooms. Suites are more spacious and feature tables with sitting areas. Get pampered in Kempinski the Spa, which is fully renovated and includes an herbal sauna, a Finnish sauna, a samarium, experience showers, a deep digital detox area, an infrared cabin, a laconium, an aroma steam bath, indoor and outdoor Jacuzzis, an indoor and two outdoor swimming pools, a snow room, and a fitness center. The hotel also offers transfers, VIP ski passes, a Kids’ Club, bicycles, and a ski room. The Gallery Restaurant serves international dishes, including breakfast and a dinner buffet. Come Prima Restaurant is a gourmet Italian restaurant. Or dine at the Sushi Bar & Teppanyaki Grill. When you want a drink, head to the Lobby Bar, La Veranda Bar & Lounge, Bella Vista Bistro, Piano Bar Sing Sing, or the Vitamin Bar. Hotel Anel sits in midtown Sofia, giving guests easy access to business areas, tourist attractions, and shopping. All rooms have marble bathrooms with luxury bathroom amenities, free Wi-Fi and LAN, direct dial phones, a phone in the bathroom, an oversized work desk with additional power sockets, an LCD flat-screen digital TV, a smart TV keyboard, a radio, a fully-stocked mini bar, blackout curtains, daily maid service, adapters available upon request, individually-controlled heating and air conditioning, a hair dryer, a sitting area, windows that open, slippers, luxury bathrobes, and pillow top mattresses. Or choose a room with a dining table, kitchenette, laptop, balcony, whirlpool bath, and/or foldout sofa bed. Make use of the hotel’s sport facilities when you want to get active. You will find 400 square meters with a fitness center, Jacuzzi, swimming pool, infrared sauna, sauna, salt sauna, steam bath, and massages. You will find over 800 sculptures and paintings from renowned Bulgarian artists spread throughout the hotel. There is also a Bingo Anel area. The hotel offers an airport transfer service for convenience. Breakfast is always included in your stay. Restaurant Anel has an extensive wine collection and live music at night. 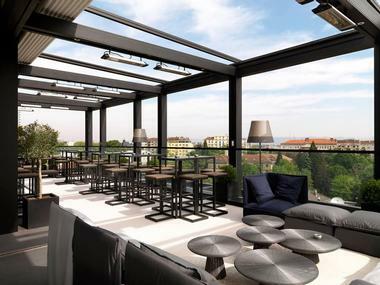 The M Bar overlooks the street below and includes light meals as well as drinks. 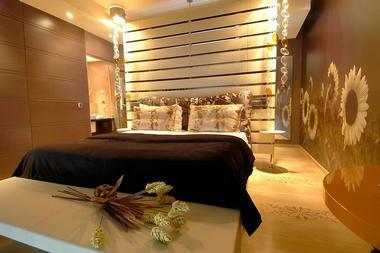 Sense Hotel Sofia is an upscale hotel that combines design and luxury. There are 71 rooms and suites. Superior rooms feature wireless and wired internet, personalized light control, iPod docking stations, 42-inch Smart TVs, wireless phones, air conditioning, espresso machines, minibars, electronic door locks, shower cabins, in-room safes, secure floor-to-ceiling windows that open, and an interior made of natural materials. Deluxe Rooms are larger and face St. Alexander Nevski Cathedral and add bathtubs and solar panels. Executive Rooms share the views or face the mountains and add balconies. The Sense Suite is similar but even more spacious. Go for a dip in the swimming pool or join one of the Aqua Gym sessions with a professional trainer. Or enjoy an immersive ESPA treatment. Get a drink in the Rooftop Bar nearly any time of the day, where you will find premium spirits and wine and amazing views. When you want a meal, head to the Rooftop Gastro Bar Live with balanced meals and great views. There are over a dozen famous Sofia landmarks within about a kilometer of the hotel, giving guests easy access to the city. 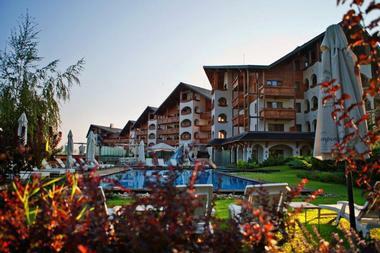 Helena Sands Hotel is a five-star hotel that is just a short 100 meters away from Sunny Beach’s golden sandy beaches. The rooms are spacious and have free Wi-Fi. Rooms are spacious and can include sitting areas, large desks, balconies with furniture, TVs, and all the other amenities you expect from a luxurious hotel. Guests can go for a swim in the outdoor or indoor swimming pool. Or visit the fitness and spa center with its wellness program and spa. There is even a hot tub. Work on your color at the tanning studio or play at the tennis court. Make use of other hotel amenities like the airport shuttle, 24-hour front desk, on-site parking, luggage storage, VIP room facilities, and tour desk. You will also find shops, laundry service, self-laundry, dry cleaning, an elevator, currency exchange, a concierge, a safe deposit box, and meeting rooms. Dine at the hotel’s restaurants. 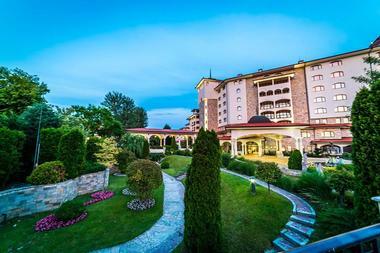 Premier Luxury Mountain Resort is a five-star hotel in picturesque Bansko, very close to all the ski resort facilities associated with Mount Pirin. The contemporary accommodations feature private terraces or balconies, in-room coffee and tea stations, TVs with cable, and free high-speed internet access, including Wi-Fi. The bathroom features a branded set of bath amenities and cosmetics, slippers, and a bathrobe. Those with Smart Club accommodations receive bottled mineral water, a surprise from the chef, a safe, individual climate control, a lounge chair, a hairdryer, a magnifying mirror, and a mini bar. Suites are also available with a foyer and sitting area or you can opt for the spacious family suite. The hotel has an extensive spa and wellness center, along with an indoor heated pool. LE SPA also features a Jacuzzi, multiple sauna types, a fitness center, and a Jacuzzi. Families will appreciate the children’s activities, including frequent animation shows. Dine at one of the two restaurants, Amvrosia Restaurant and Dionyssos Main Restaurant, or have a drink at the Nectar Bar. If you time your visit right, you can attend the Premier Gastronomy Festival hosted by the resort each year. You also get to start the day with a breakfast buffet and order room service 24/7. The Grand Hotel Sofia is a five-star hotel that has hosted international travelers and cosmopolitan society since opening in 2004. Pets are welcome with notice and for a small fee. In addition to the various rooms, guests can choose from 17 oversized suites, including the 3 Panorama Suites with balconies. All accommodations include comfortable seating areas, workspaces, wide flat-screen TVs, minibars, in-room safes, marble bathrooms with separate large bathtubs and showers, hairdryers, slippers, bathrobes, umbrellas, opening windows on lower floors, internet, and daily mineral water. You can also enjoy a voucher for a free drink, complimentary daily coffee and tea, turndown service, luxury bath amenities, valet hangers, and/or welcome bottles of wine plus fruit. Browse the hotel’s gallery in your downtime. 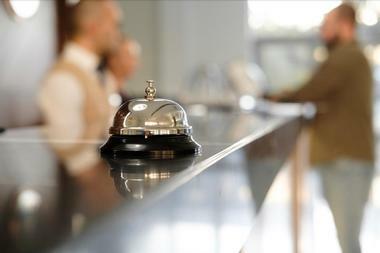 Other hotel services include car rentals, private car service, airport transfers, concierge services, valet parking, 24-hour room service, the 24-hour lobby, LAN and Wi-Fi, a gym, a business center, the sauna and steam bath, massages, laundry and dry-cleaning service, a florist, a luxury boutique, a gift shop, and a hairstyle studio. Get an upscale meal at Shades of Red Restaurant for regionally-inspired and seasonal dishes. 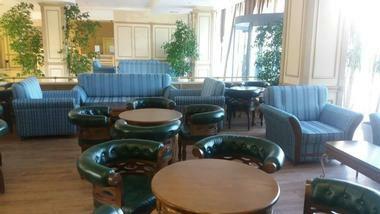 Or enjoy coffee and pastries in the Grand Café. Visit the Lobby Bar, which is where you will find a breakfast buffet. 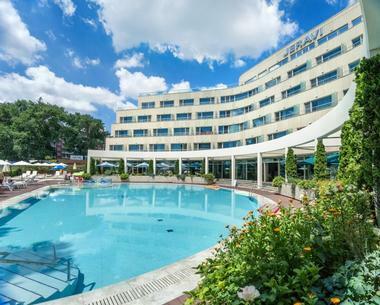 The Hilton Sofia sits in the heart of the city, with easy access to the Sofia Congress Center and views of Vitosha Mountain. 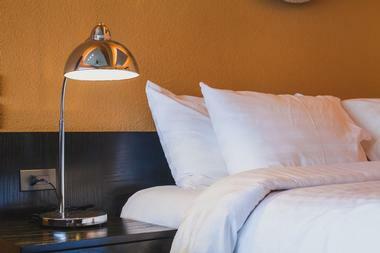 There is free standard Wi-Fi throughout the public areas with the option of premium Wi-Fi in the guest rooms. There are 245 rooms, all with soundproofing, a deep soaking tub, Hilton Serenity buds, free toiletries, LCD TVs, tea and coffee-makers, desks, fluffy bathrobes, minibars, and separate showers and bathtubs. Or opt for a suite with access to the Executive Lounge and a living room. Guests can take advantage of the 24-hour connectivity station in the lobby or the Health Club with its gym, relaxing pool, steam room, massage studio, and sauna. During the summer, borrow a bicycle for free. The hotel also has a sun tanning terrace, business center, babysitting services, family packages, an airline desk, an ATM, a barber shop, baggage storage, foreign currency exchange, laundry/valet service, multilingual staff, a news stand, a safety deposit box, a shoe shine stand, and room service. Dine at the award-winning Seasons Restaurant or in the Artists Bar, with their open terraces. 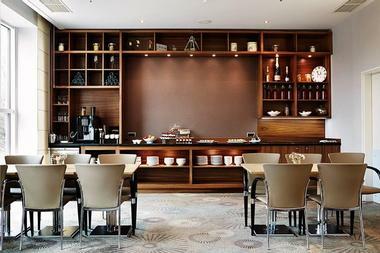 Those with access to the Executive Lounge can enjoy complimentary refreshments and breakfast there. The International Hotel Casino & Tower Suites sits just a few meters away from Golden Sands beach. There are 325 accommodations, including deluxe and superior rooms plus suites. Expect a shower or bathtub, a minibar, a cable TV, a safety box, a hair dryer and magnifying mirror, bathrobes, slippers, a private balcony, Wi-Fi, towel service, air conditioning, and luxurious bath amenities. Choose an Executive Room for extra amenities like welcome drinks upon arrival, evening turn down service, a personal concierge and premium beverage service in the Executive Lounge, and all-day complimentary refreshments, tea, and coffee. The hotel has sun beds and umbrellas by the outdoor pool, the indoor and outdoor pools, the fitness center, and the towel service for the pools, sauna, and gym. Hotel guests get access to extensive spa services, 24-hour access to the casino for gambling and entertainment, a shopping center, a Kids’ Club, Wi-Fi, complimentary parking, and a dedicated concierge team. You can also browse the hotel’s impressive art collection. There are numerous dining options, including the Executive Lounge, the Skyfall Terrace Beach on the roof, the Replay Bar, the Lucky Chef A-La-Carte Restaurant that specializes in steak and meat, the Casino Lounge Bar, Lobby Bar Le Café, the Buffet Restaurant, and the Currylicious Indian Buffet. 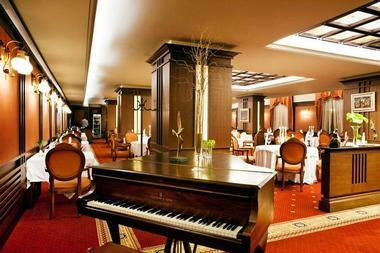 Arena di Serdica Residence Hotel is a five-star hotel in a central location in downtown Sofia. This hotel is unique in that it hosts the remains of the Roman Amphitheatre of Ancient Serdica, among the most precious treasures in the city. The hotel has 63 spacious rooms with plenty of style and luxury. Room amenities include a pillow menu, LCD TVs with premium satellite channels, triple-glass windows that open, vanity mirrors, international electric shaver points, extensive shower cabins, spacious writing desks, direct phone lines, daily housekeeping, individual air conditioning controls, tea and coffee-making facilities, black-out curtains, hair dryers, minibars, safety deposit boxes, toiletries, rainfall showerheads, bathroom phones, slippers, bathrobes, sewing kits, and optional infant beds or rollaway beds. Make use of the wellness club or book one of the four conference rooms. The wellness club is very well equipped with a gym, a protein and fresh bar, beauty and facial treatments, massages, and wellness procedures. It also features a Finnish sauna, a steam bath, and a solarium. 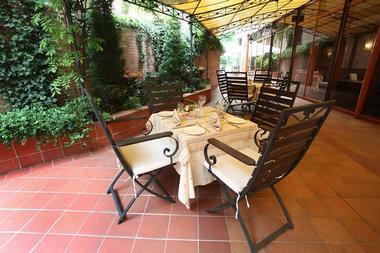 La Terrazza Di Serdica Panorama Restaurant has fine wines and exquisite cuisine while La Tribuna Restaurant & Garden is the main restaurant with traditional Bulgarian dishes plus international options. The Lobby Bar Arena Di Serdica serves light snacks as well as cocktails. Helena Park Hotel is part of the Helena Resort, along with Helena Sands Hotel. It gives guests easy access to the natural beauty and fun activities of Sunny Beach. Helena Park Hotel has 153 double standard hotel rooms, 114 of which have a sea view, plus 16 Junior Hotel Suites, 13 Suites, 6 Masionettes, 1 Vice Presidential Suite, and 1 Presidential Suite. Rooms feature amenities like air conditioning and heating, telephones, convertible sofas, available minibars, available safety deposit boxes, hair dryers, and SOS buttons. Guests are welcome to visit the SPA and Wellness Center Lion’s Health and Beauty SPA, which offers a range of treatments. You can also use the indoor pool and adjoining jacuzzi, the fitness hall, the four types of saunas, or the solarium. Other resort activities include billiards, table tennis, water gymnastics, beach volleyball, basketball, tennis, and the playground. The Helena Park Hotel shares restaurants with the other hotel in the resort. Dolphin a la carte Fish Restaurant serves seafood with the ability to request the chefs cook in front of you. The Blue Lagoon Barbecue smells like firewood and spices. The Carribi Bar is perfect for music and dancing or you can visit the Voice Pianobar with live music or the Sea Wolf Bar Saloon. 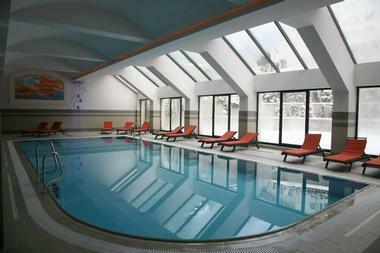 The Regnum Bansko Apart Hotel & Spa delivers relaxation and comfort on a mountain. There are amazing suites with views of the Pirin Mountain. All accommodations are suites with amenities such as safe boxes, minibars, bathtubs or showers, kettles, flat-screen TVs with cable, free Wi-Fi, phones, and available balconies. Optional extras include private air conditioning, laundry, wake-up calls, dry cleaning, ironing, room service, and wake-up calls. You can also choose a room with multiple bathrooms, a hydro massage shower, a kitchenette, and even more space. The luxury SPA center is perfect for a day of pampering and includes an indoor swimming pool, two large jacuzzis, a hammam, a steam bath, and a thermal area. You will find a VIP studio plus four massage cabins for privacy. 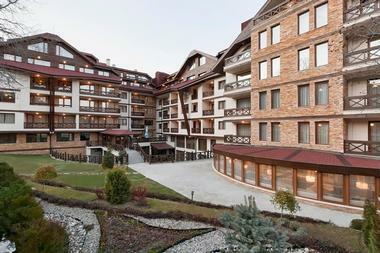 This hotel also has the only aqua park within Bansko and offers event facilities. There are also children’s animations and a playground. Be sure to check out the new Regnum Banya Thermal which is an outdoor mineral-water swimming pool, a children’s section, and an outdoor jacuzzi also with mineral water. During the winter season, you can enjoy authentic Turkish meals at Regnum Restaurant, which normally serves international and Bulgarian dishes. Enjoy an evening at the Regnum Lobby Bar and Night Club. Barcelo Royal Beach provides guests with modern design plus comfort within the heart of the Black Sea’s southern coast. It is just a few meters away from seven kilometers of sandy beaches and offers large rooms and suites that are all-inclusive. The accommodations have modern designs plus private panoramic balconies. There are 304 rooms with audio systems, balconies, wireless broadband connections, and two single beds or one double bed. Other room amenities include air conditioning, phones, room service, safes, TVs, minibars, showers, hairdryers, makeup mirrors, and toiletries. Some also have additional space, kitchens, and/or dining areas. Premium All-Inclusive guests also get bathrobes, slippers, a pillow menu, a coffee machine, and more. The hotel also has two outdoor swimming pools, including one for children, perfect for cooling off or getting in some exercise in addition to a heated indoor pool. Or you can relax in the garden area or visit the 1,200-square-meter spa with 7 treatment rooms, a Turksih bath, a steam bath, an infrared sauna, a sauna, a hairdresser, a beauty center, and a fitness studio. Enjoy free Wi-Fi throughout the property while your children will enjoy the Kids’ Club. Dine at the Buffet del Chef restaurant for amazing wines and innovative cuisine. Duni Marina Royal Palace is part of the Duni Royal Resort, which is all-inclusive so guests do not have to worry about anything during their stay. This hotel delivers panoramic views and spacious rooms. Double Rooms feature twin beds, a sofa bed, individual air conditioning, satellite TVs, seating areas, bathrooms with hairdryers and bathtubs, safety deposit boxes, balconies or terraces, and mini-fridges. Junior Suites have a larger room with two beds, a seating nook with a sofa, and your choice of view. One-Bedroom Suites have a living room with a seating nook plus sofa and a king-sized bedroom. Get in a workout in the gym or visit the spa, sauna, steam room, or indoor pool. Other on-site entertainment includes a disco, shuffleboard, water polo, dance courses, pool games, Zumba, bingo, darts, bocci, cocktail games, club dances, the Aqua Park, and themed parties. The main hotel serves international cuisine. Or you can visit one of the main restaurants in the other three resort hotels or one of the two a-la-carte restaurants open for dinner, Mehana and Milanese. Get a drink at the Sky Bar. There is also an amphitheater that can fit 1,600 people and has professional lighting and sound for events. Festa Winter Palace Hotel is a five-star luxury hotel in the heart of the Borovets resort by a ski slope and two ski lifts. The hotel delivers first-class services, a mountain holiday, and refined luxury. There are 39 luxury Double Rooms plus 15 Junior Suites, 12 Luxury Suites, and an exclusive VIP suite with its own private elevator. Double rooms feature central air conditioning, telephones, LCD TVs, minibars, shower baths, bidets, bathrobes, slippers, coffee machines, and hair dryers, with most also featuring balconies. Suites add living rooms and sitting corners plus extra space while the VIP Penthouse Apartment spans two floors and 200 square meters with numerous extras. Visit the Relaxation Zone where you will find massages, a steam bath, a sauna, a Jacuzzi, a relaxation room, and a Russian bath. Go for a swim in the indoor swimming pool with its sun loungers and winter views. Or choose a different exercise in the fitness center with its cardio machines and free weights. The hotel offers two restaurants, a day and night bar, and a patisserie. Enjoy the Wine & BBQ Restaurant or the Buffet Restaurant depending on your mood, then stop by the Patisserie Mozart for dessert or Apres – Ski Bar for a drink. 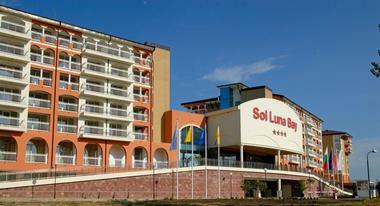 With views of the Black Sea, Sol Luna Bay is an all-inclusive hotel that offers something for everyone, including families and couples. Expect Wi-Fi, your choice of a park or sea view, writing desks with chairs, sofa beds, phones, wardrobes, central air conditioning with individual temperature control, satellite TVs, bathrooms with showers or bathtubs, make-up mirrors, toiletries, vanity kits, hair dryers, fresh-air windows, furnished balconies or terraces, and safes and mini-bars upon request. Or choose one of the Family Suites with two bedrooms, one of which includes a sitting area, an extra desk, an extra wardrobe, and more space. This hotel has its own aqua park with four slides, three pools, and a kiddie pool with its own two slides. The aqua park even has a small exhibit of a 6th-century kiln uncovered during its construction plus some other local artifacts. Families, individuals, and couples will all appreciate the extensive entertainment program. Dine at one of the two themed restaurants depending on if you are in the mood for Italian at Osteria La Spiaggia or Bulgarian at Morsko Oko. Or get a lighter meal at the Snack Bar, an Italian sandwich at Paninoteca Luna, Spanish at Taperia Malecon, or Paellador Levante. Get a drink and live music at Bar Sofia or visit the Lobby Bar or Pool Bar. Grifid Hotel Arabella was fully renovated in 2013 and is modern with tasteful furnishings. 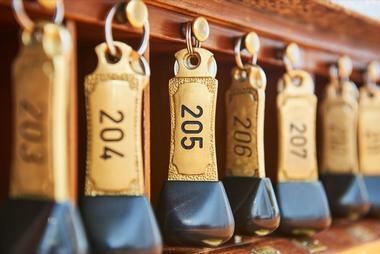 There are 292 rooms and apartments, all featuring either a view of the sea or the seaside. You will find bathrooms with bathtubs, wall-to-wall carpeting, hairdryers, direct dial phones, sofas, central air conditioning, complimentary mini bars (with daily refills of mineral water, beer, and soft drinks), satellite TVs, safety deposit boxes (for a fee), balconies, and free Wi-Fi access. Since the Grifid Hotel Arabella is on the beach, beach service is also included, with every room receiving two sun beds plus an umbrella for free. If you don’t feel like heading to the beach, visit the two outdoor swimming pools, one of which is a jacuzzi, or the heated indoor pool while making use of the sun umbrellas and loungers. Other hotel amenities include the fitness room, spa treatments, entertainment for all ages, and thematic evenings. This all-inclusive hotel offers five restaurants, including the main restaurant, a snack restaurant, and three a la carte options for Asian, Bulgarian, and Italian. Enjoy soft drinks, local beer and wine, cocktails, and more plus a pastry shop. There are also three bars, in the lobby, a Bar Salon, and at the pool. Hotel Riu Helios Bay is an all-inclusive hotel with a seafront location on Obzor Beach and surrounded by small wooded hills and gardens. There is free Wi-Fi throughout the entire hotel and three choices of rooms. Double Standard Rooms are 26 square meters with a king bed or two twins, satellite TV, a mini-fridge, a terrace or balcony with sea views, and air conditioning. Double Superior Rooms are 30 square meters and similar but add a sofa bed. Family Rooms are 50 square meters with similar amenities. The property has a freshwater swimming pool as well as an indoor swimming pool and a jacuzzi. You can exercise in the gym or relax with a massage, trip to the sauna, or appointment in the beauty center. Enjoy activities like a water gym, water polo, table tennis, the sports center, volleyball, petanque, karaoke, a children’s pool with water slides, a playground, and the entertainment program. There is live music at night and during the day, you will find specific programs for kids. Between the themed restaurants, live cooking show, and buffet restaurant, there are multiple dining options at the hotel. Enjoy the main restaurant with its terrace, the Asian restaurant, the snack restaurant, the Ole Spanish restaurant, the lounge bar, the lobby bar with terrace, or the poolside bar and chill-out area. The Majestic Beach Resort sits on the South Black Sea Coast and is perfect for a luxurious, comfortable vacation. The four-star facilities include two blocks of exclusive apartments that adjoin. All rooms have air conditioning, bathrooms with showers or bathtubs, desks, full-size mirrors, internet access, sofa beds, TVs with satellite channels, safe deposit boxes, minibars, phones, hair dryers, branded bath amenities, and balconies. You can select a room with a kitchenette, separate living/seating areas, or accessibility considerations. Guests get amazing views of the sea and the largest pools in Sunny Beach. One is for pampering and relaxation while the other is for animation, entertainment, and sports. The property also has the largest garden within Sunny Beach, over 35,000 square meters with over 300 tropical plants and palm trees. Visit the wellness center for a pampering session or head to the beauty center. The resort also offers a kids’ pool, a multifunctional playground, a fitness center, paintings, a kids’ area, mini golf, the mini disco, animation, or various shows. 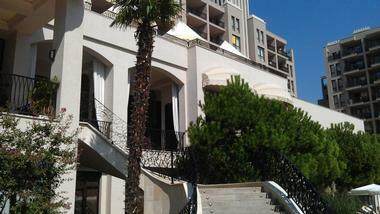 Enjoy the Main Restaurant with its Bulgarian dishes, seafood, and European specialties and thematic evenings. Or visit BULGARI (a Bulgarian winery), Dolce Vita Mediterranean Restaurant, or the snack, lobby, terrace, or pool bar or the bar saloon. 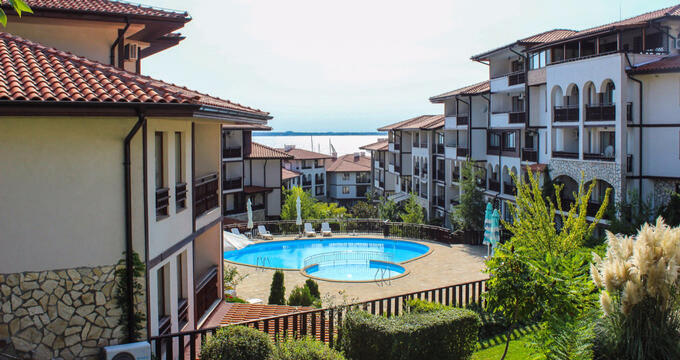 The Iberostar Sunny Beach Resort is a beach hotel in Bulgaria’s Sunny Beach, where you will have access to kilometers on end of golden sandy beach and activities for the entire family. Expect room amenities like sofa beds, satellite TVs, safes, phones, hair dryers, air conditioning, bathrooms with bathtubs, free Wi-Fi, and balconies. Or consider more spacious accommodations in a suite. This resort has an impressive seven different pools, including those for children, with slides, heated, indoor ones, and more. Or you can just walk a few steps to the gorgeous beach. Children will find numerous activities, including the climbing wall, cooking workshops, and Star Camp. The all-inclusive plan gives you access to show cooking sessions and plenty of food. Other activities include darts, tennis, water polo, archery, evening shows, and dancing. Get a massage or body treatment. Let your children enjoy the kids’ buffet and everyone can appreciate themed dinners and Bulgarian cuisine. Sip cocktails by the pool. Les Fleurs Boutique Hotel gives guests hospitality and luxury along with amazing views of Vitosha Mountain and the city of Sofia. There are 31 stylish rooms, all of which are smoke-free and have safety deposit boxes, 24-hour service, work areas, fridges, and Wi-Fi. Other room amenities include direct phone lines, LCD TVs, individual climate control, mini bars, soundproofing, free toiletries, bathrobes, wake-up services, DVD players, cable channels, seating areas, private entrances, closets or wardrobes, slippers, and more. Choose from a 20-square-meter classic room featuring a shower or a 30-square-meter luxury room with either a shower or a bath and shower. Executive rooms are even larger and have living areas, sofas, tables, and an extra TV while Panorama rooms are even more spacious and have terraces. All rooms get free bottled water upon arrival. There is not a gym on site but guests can use the fitness center right by the hotel. Supplement your stay at this hotel with massages in your room, an appointment with the styling and cosmetic services, or a delivery of flowers. The hotel will gladly help you book tickets for cultural and social events or make reservations for bars and restaurants. There is also transportation, airport transfers, and dry cleaning available from the hotel as well as the ability to host corporate events. Enjoy a European meal at Eisha Restaurant. The Jeravi Hotel is a four-star hotel in Sunny Beach Resort, a location right along the beach with views of the sea and Nessebar. 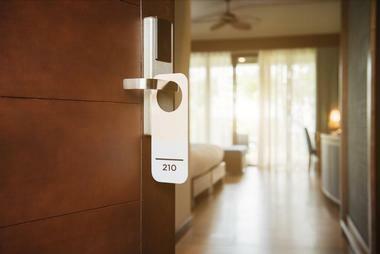 The well-appointed suites and rooms have innovative design and enthusiastic service. There are 66 guestrooms along with 2 deluxe apartments. All have en-suite bathrooms, sofas or armchairs, secure card locks, controlled air-conditioning, 24-inch LCD TVs with satellite channels, safety deposit boxes, free internet, and international direct dial phones. Many, but not all, have balconies. The 14 family rooms can fit five people and some accommodations can connect. Deluxe apartments have two bedrooms, a living room, a kitchenette, a work area, a 37-inch flat-screen TV, a DVD player, and a spacious terrace featuring wooden sunbeds. The hotel offers a secure environment with professional surveillance and security guards. This hotel is seasonal, opening between May and October for the summer. There is also free parking on site for convenience. Relax in the reconstructed swimming pool with its night lighting and heating system. There is also a separate and secured children’s pool for safe swimming. Guests are treated to breakfast in the morning. The restaurant is also open for lunch and dinner, featuring Bulgarian wines and both international and Bulgarian cuisine. Tiara Beach Hotel sits in the dunes of the famous Sunny Beach with views of Old Nessebar This four-star hotel has been hosting guests from around the world for over a decade. Double rooms feature two standard beds, a couch/bed, a phone, cable TV, central air conditioning, Wi-Fi, a safe, a fridge, a bathroom, a shower, a hair dryer, and a balcony plus views of the park or sea. Suite 1-Bedroom accommodations are more spacious and have two extra beds, a dining area, and two bathrooms so guests have both a shower and tub. Or the Junior Suite is similar but without the extra bathroom and dining area. The hotel is just 150 meters away from the gently sloping beach and it is also incredibly close to entertainment and shopping, making it the perfect location. Or guests can stay on site and spend time at the hotel’s Mini Aquapark, with complimentary admission. Or visit the Relax Center for a massage then swim in the outdoor pool or the indoor pool. Kids between ages 4 and 12 will love spending time in the Mini Club with its range of activities. When you work up an appetite with your activities, head to the restaurant for some traditional Bulgarian dishes. 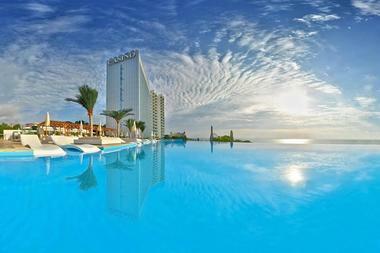 Or visit the lobby and pool bar or snack restaurant. 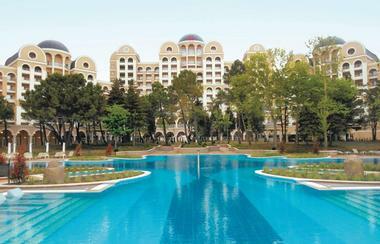 The Hotel Riu Helios Paradise sits right along the coast of the Black Sea on the beach. This all-inclusive hotel with Wi-Fi throughout. Double Standard rooms have satellite TVs, mini fridges, lounge areas, balconies or terraces, and air conditioning. Double Superior rooms are more spacious while Family Rooms are one or two bedrooms, including a lounge area with a sofa bed. If you do not feel like swimming in the sea, you can visit the freshwater pool and jacuzzi, the indoor pool, or the children’s pool. All of these have free towels and hammocks. Get in a workout in the gym or pamper yourself at the spa, sauna, massage salon, beauty salon, or hairdresser. There are various sports and games to enjoy or you can take an exercise class or attend RiuArt study. There is also live entertainment, including music, at night. The main restaurant has a buffet or you can dine at one of the three themed restaurants for Bulgarian, Asian, or Italian. 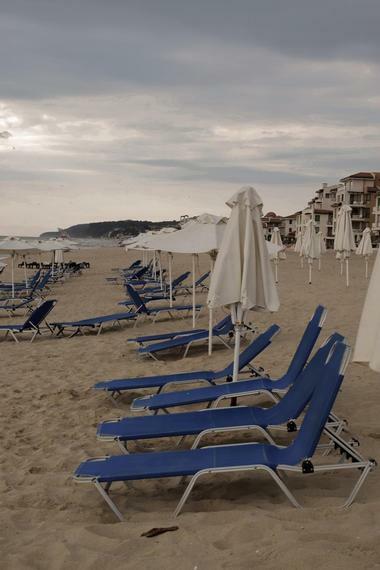 Obzor Beach Resort gives guests easy access to the beach and it is right along the Black Sea for amazing views. Each apartment has its own fully-equipped kitchenette and there is a supermarket is in the resort with more in the town. In total, there are 523 furnished apartments, all with showers, bathrooms, internet, safety deposit boxes, air conditioning, satellite TVs, fridges, hair dryers, and phones. 30 apartments have park views while the rest all face the sea. Choose from an apartment with one, two, or three bedrooms, each with a balcony and lounge area as well as the fully-equipped kitchenette. The resort is kid-safe since it is in a secure zone that is only available for guests and there is an Obzor Beach Resort Kids Club with games and activities. Guests can enjoy secure underground parking with security. Adults will love the Sport & Beauty Center which is a wellness and health center plus some. Get pampered with a salon treatment, hairdresser appointment, or massage. Visit the fitness center alone or get help from the instructor. Use the Finnish sauna, shock bucket, Hamam, or steam-bath. Or enjoy the game hall, mini golf, billiards, internet club, 5 children’s pools, or 5 open air pools. The resort’s A la Carte restaurant includes terrace seating and there is a barbeque restaurant plus a snack bar. There are also two pool bars.